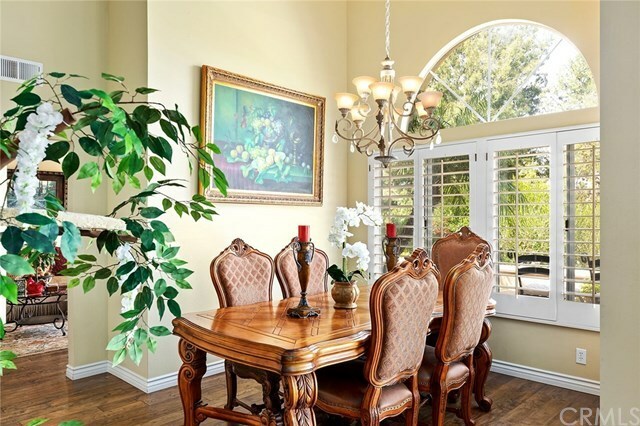 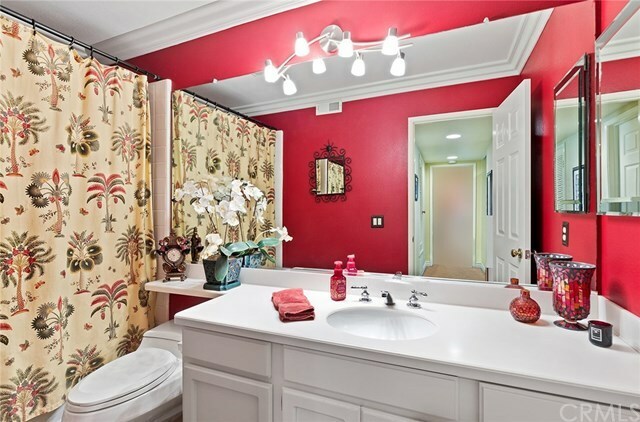 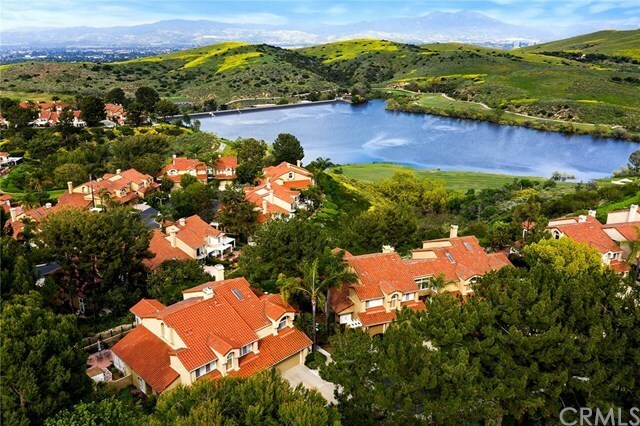 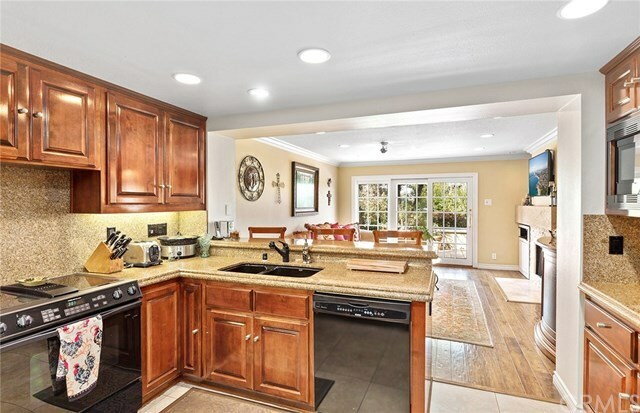 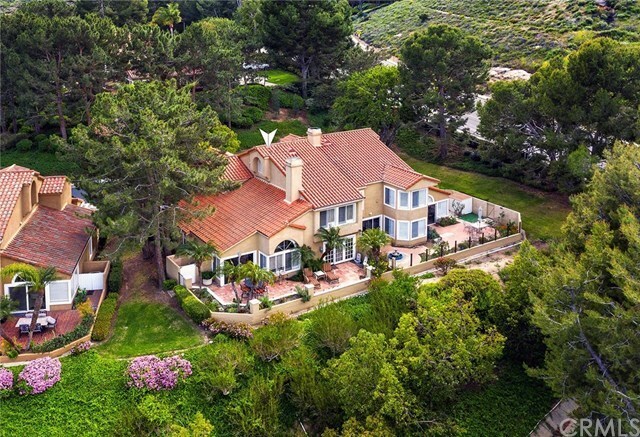 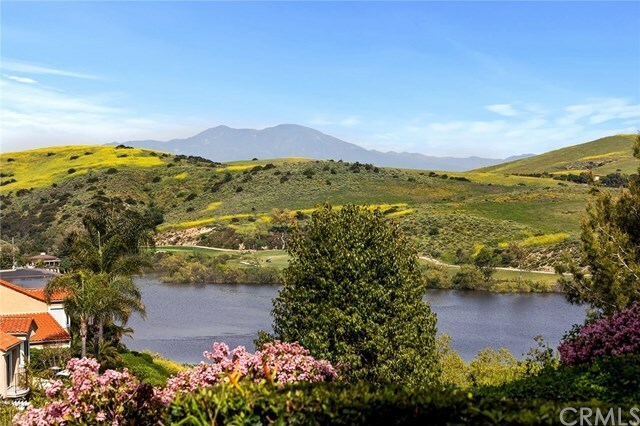 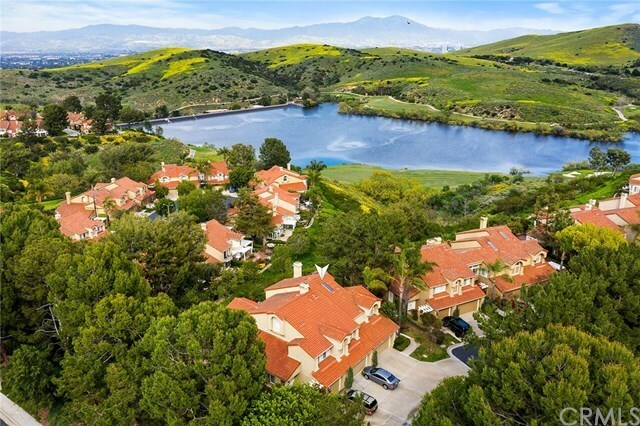 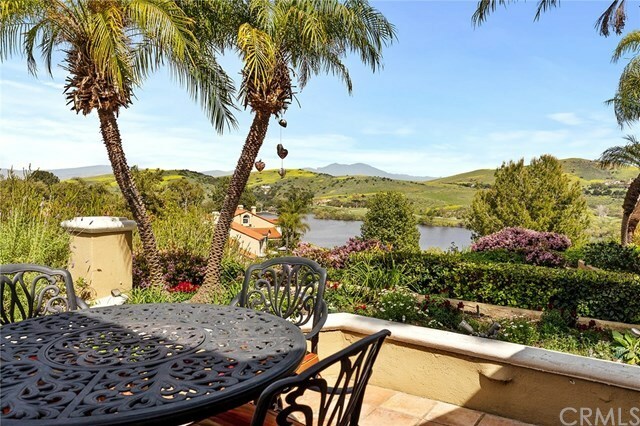 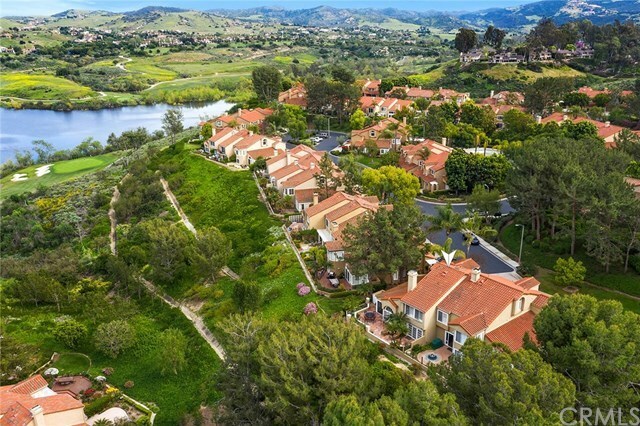 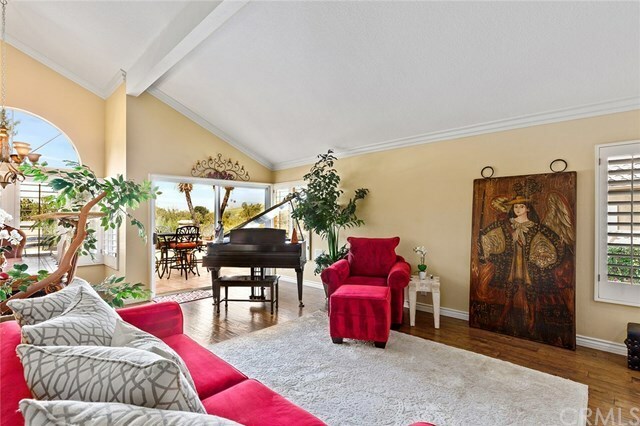 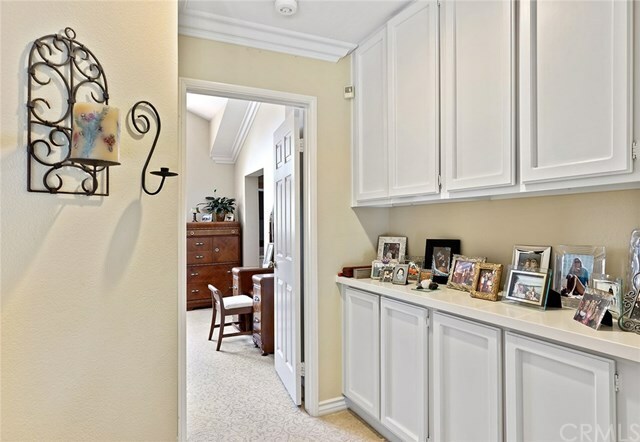 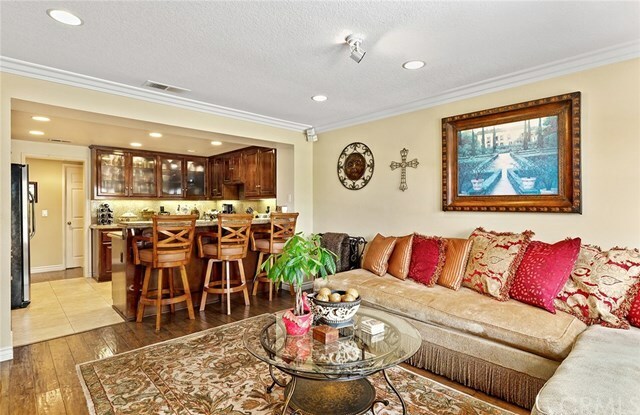 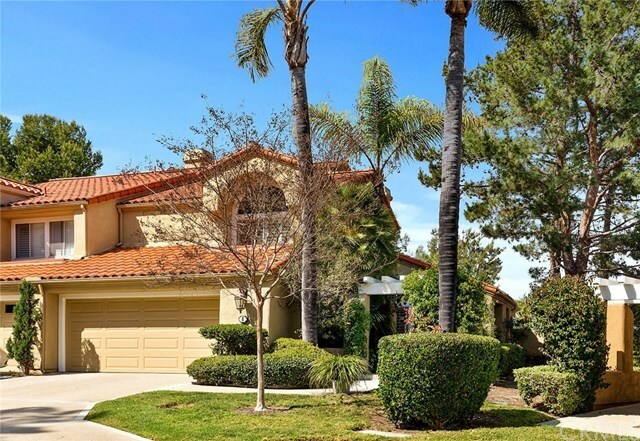 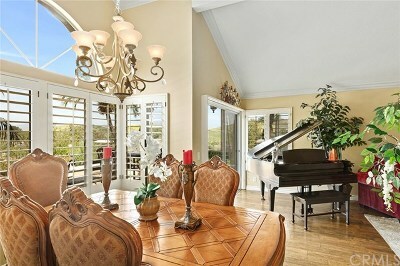 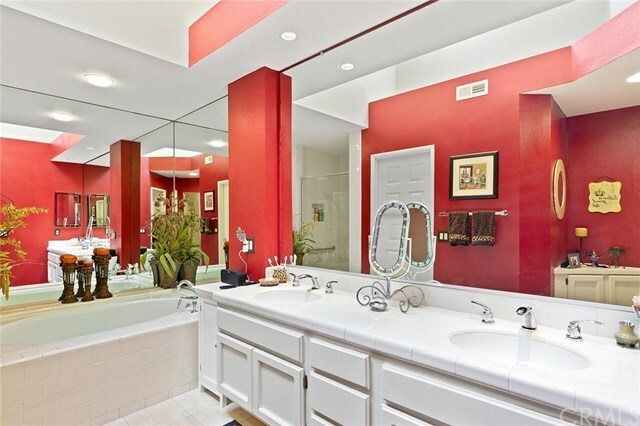 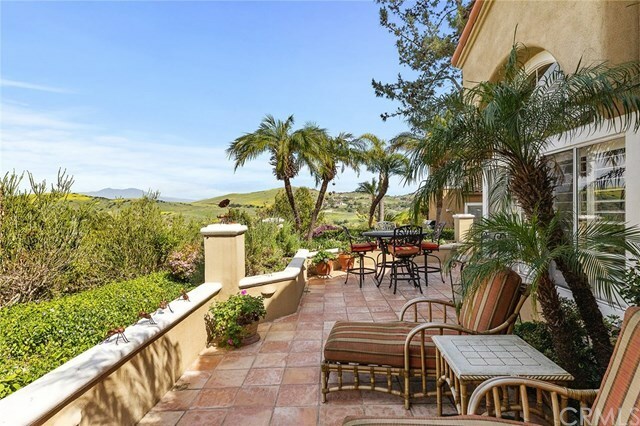 Tranquil views of the Strawberry Farms Golf Club and Sand Canyon Reservoir are just the beginning of this pristinely-maintained and upgraded home, tucked away in the gated Turtle Rock Pointe community of Irvine. 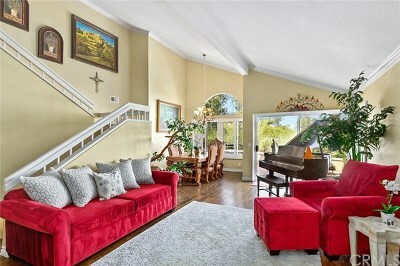 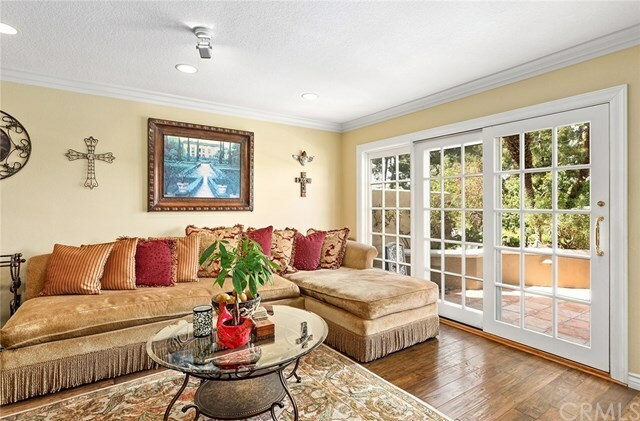 Beautiful hardwood throughout the main floor, several large windows, and high ceilings with crown molding culminate to offer an air of elegance upon entry. 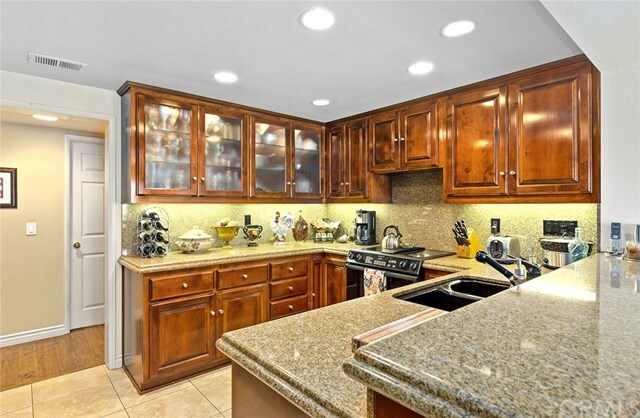 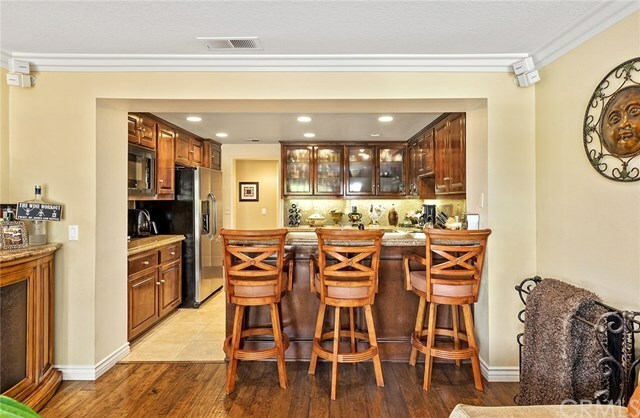 The upgraded kitchen features granite countertops, recessed lighting, and bar seating that opens to the inviting family room, which is characterized by the warm, refinished fireplace and Bose surround sound system. 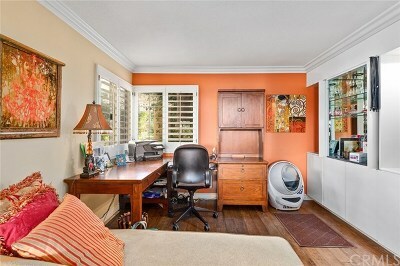 Currently situated as an office, the downstairs bedroom offers a paneled pass-through window, opening to the living room. The upper level hosts dual suites. 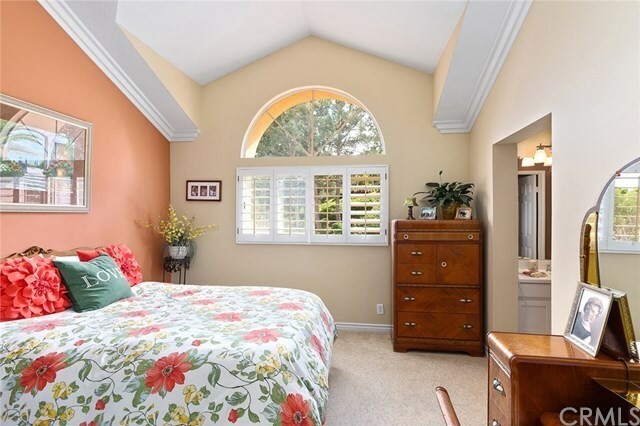 First, the master suite, which is complete with a large walk-in closet, an additional closet, and a spacious master bath with abundant natural lighting provided by the skylight. 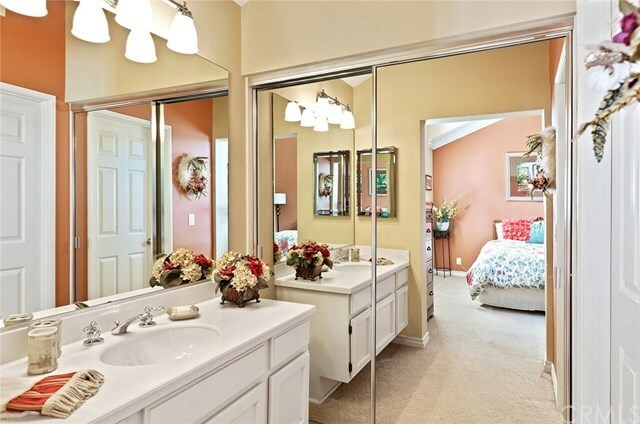 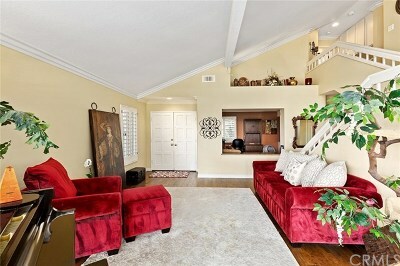 And the second upper suite, which also offers dual closets and a full bath. 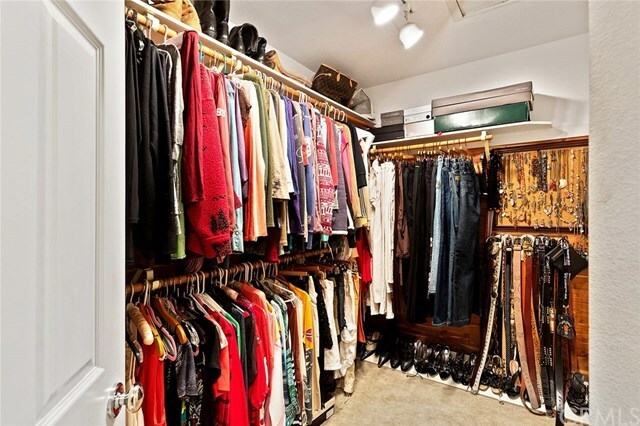 One unique feature of this home is the potential of turning the additional unused space above the master closet into an art studio, additional storage as a seasonal closet, or any number of useful spaces. 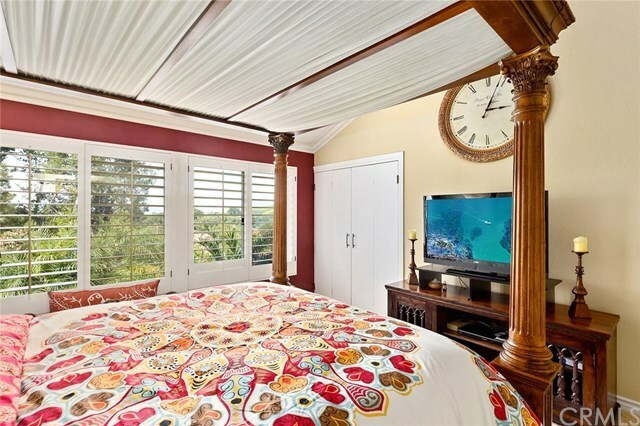 A two-car garage, tons of space in cedar wood closets throughout, and a private patio complete the amenities of this amazing Turtle Rock retreat.